On Sunday activists blocked excavators in RWE’s open pit mine: “We want to show that the fight for the Hambi goes beyond the forest borders.” Ende Gelaende released a mobilization for a mass action of civil obedience from October 25 until October 29 in the open pit mine at the edge of Hambacher Forest. This morning 40 activists from #hambibleibt entered the Hambach coal mine, forcing a digger to stop. We want to show that the fight for the Hambi goes beyond the forest borders. It is part of a much larger vision of climate justice and a responsible and self-determined future. That’s why we went yesterday together into the open pit Hambach, where once stood the Hambach Forest. We blocked the big machines that are digging away the forest, many villages with thousands of stories and our future. We need a quick end to lignite and an exit from all fossil fuels. RWE still receives subsidies and destroys habitats. Let us demand that RWE itself should pay the immense police campaign of the last weeks! As long as the excavators continue digging, the Hambis of this world are not yet saved. We can win because we already were successful. That’s why we continue! Be part of Ende Gelände 2018! 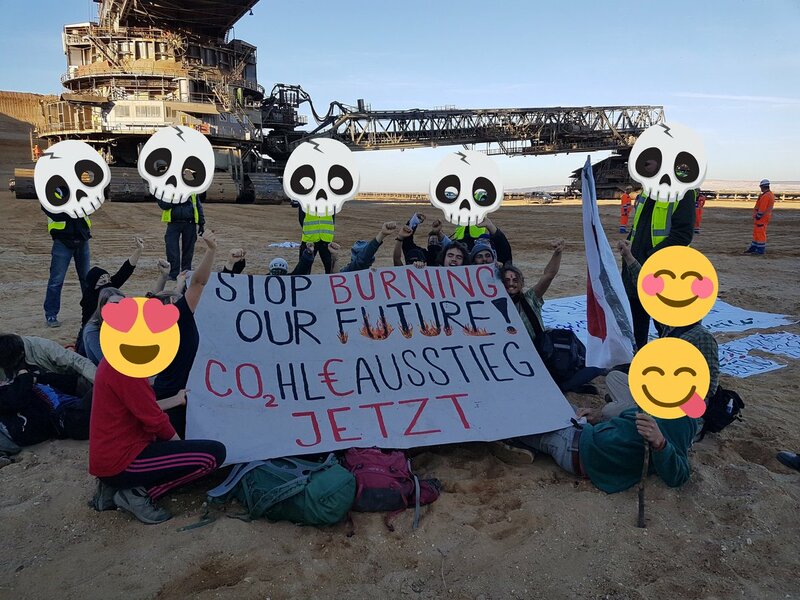 Ende Gelaende released a mobilization for a mass action of civil obedience from October 25 until October 29 in the open pit mine at the edge of Hambacher Forest. and especially how to support the action and the action-camp!